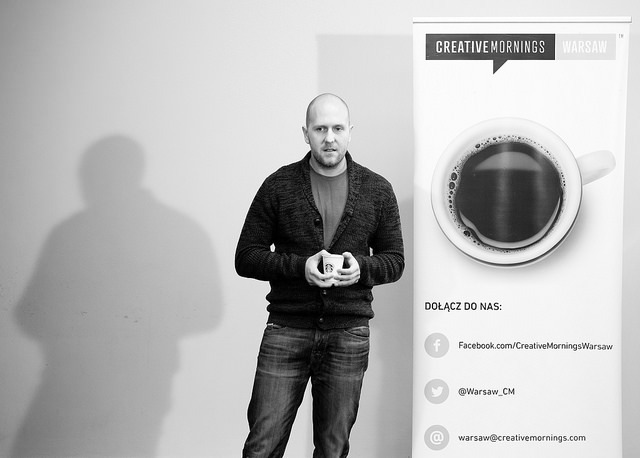 In November we had Michał Michalski - a co-founder of MusicRage services: BookRage, GamesRage and ComicsRage - the first sites in Poland disseminating cultural goods in a digital form operating on a “pay as you wish”. BookRage is based on packages of electronic books, the innovative form of sales. The customer decides how much money goes directly to the author of the book, how much goes to the Modern Poland Foundation, and how much will be spent on the activities of the BookRage. Modern Poland Foundation fights for constitutional “freedom of access to culture” (art. 73 of the Constitution), develops Free Reading Internet library by providing more than 2,000 books and audiobooks. See more photos from that event.